Congratulations to all our graduates today – we’re both proud and sad to see you go at the same time! We know you will all go on to great things, whichever path you choose – stay in touch and share your stories with us! If you want to watch our graduation ceremony live, which takes place at the Brighton Centre on Friday 3 August from 15.15 BST, you can do so here: https://www.brighton.ac.uk/livestream. 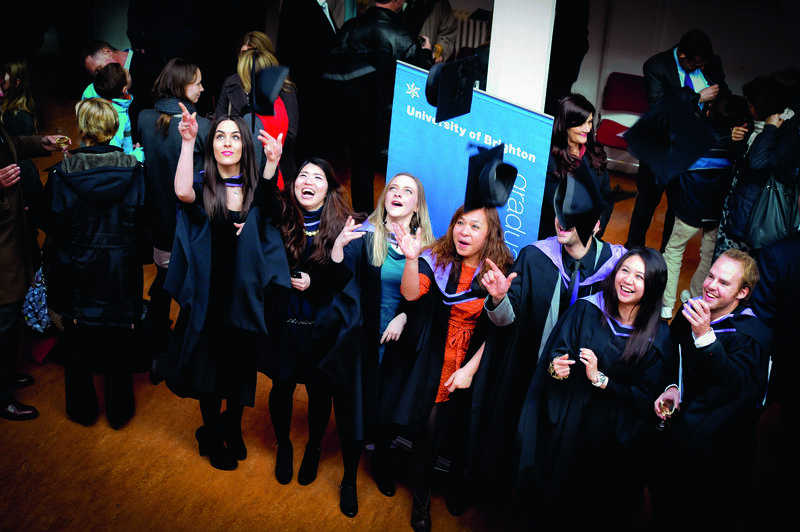 You can also follow and share images from the day using #brightonforever and #uniofbrighton. After the ceremony we will also be holding our annual Prizegiving ceremony, working with our business community to reward and recognise those students who have excelled during their time here. You can read more about this event here. Tagged alumni, Careers, Graduates, graduation. Bookmark the permalink.